Generating quality leads has only gotten harder as more industries have embraced digital marketing. So how do you compete? 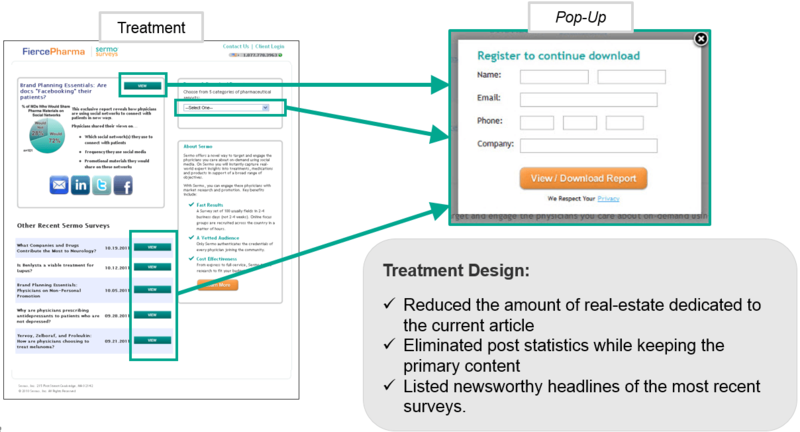 How do you increase your conversion rate and get more leads? I can't give you a specific answer. But I'll tell you who can — your customers. 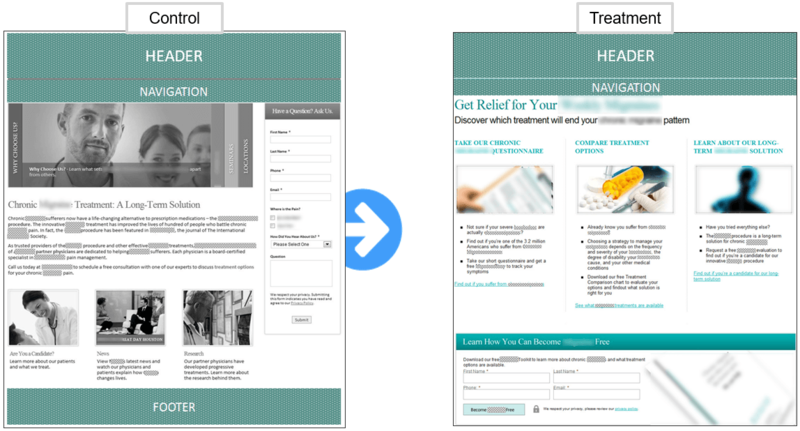 With A/B testing, you can discover what really works on your company's website and in your email and ads with your prospective customers. 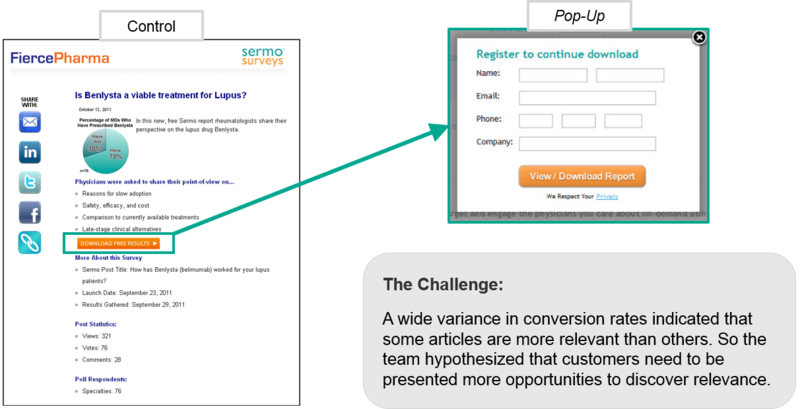 To give you test ideas, we put together this swipe file of 22 lead generation experiments that MECLABS Institute analysts conducted in lead generation Research Partnerships with B2B and B2C companies to help them learn about their customers and improve conversion rates. P.S. If you need help improving conversion, just drop me a line as well. 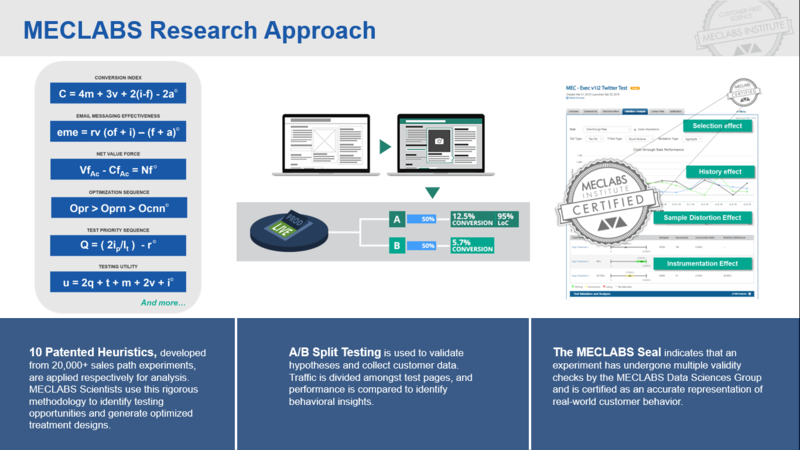 MECLABS analysts can work hand in hand with you to apply our patented methodology to your conversion challenges. 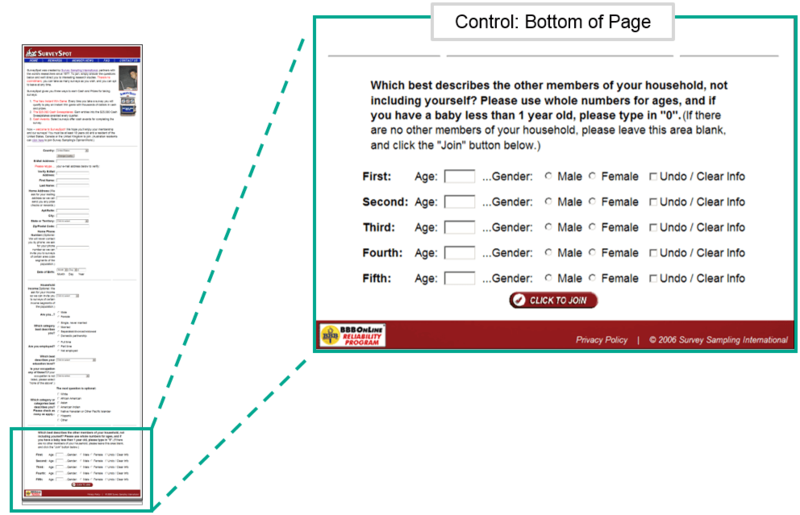 Primary Research Question: Which panelist registration page will have a higher conversion rate? 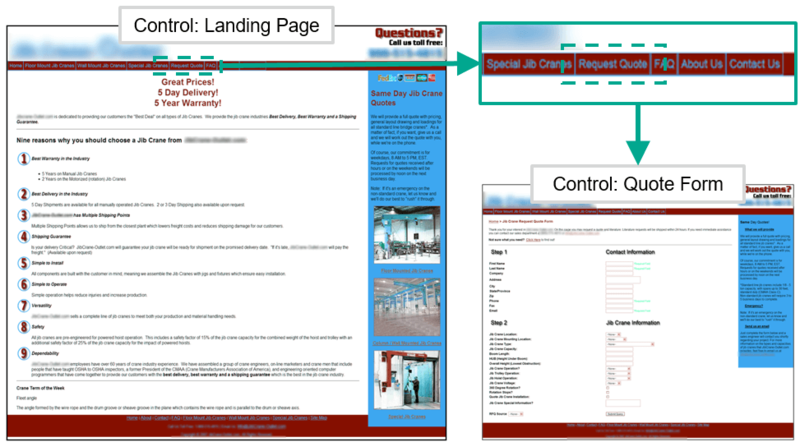 The new page design improved the conversion rate by 10.44%. What You Need to Understand: By focusing on reducing the length of the form and strengthening the value through a clear headline, we were able to generate 10.44% more registrations. 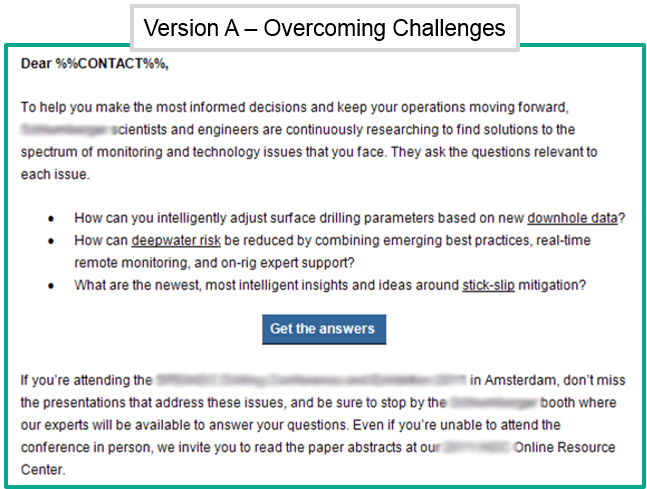 Primary Research Question: Which destination page will result in higher conversions to panelist sign-up? 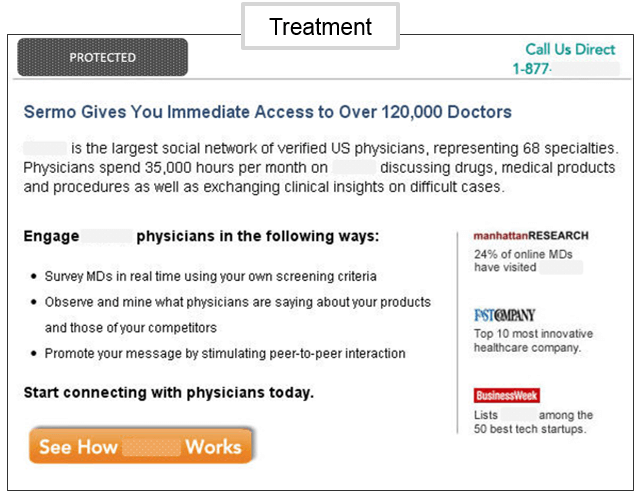 The new page improved lead generation by 19.67%. 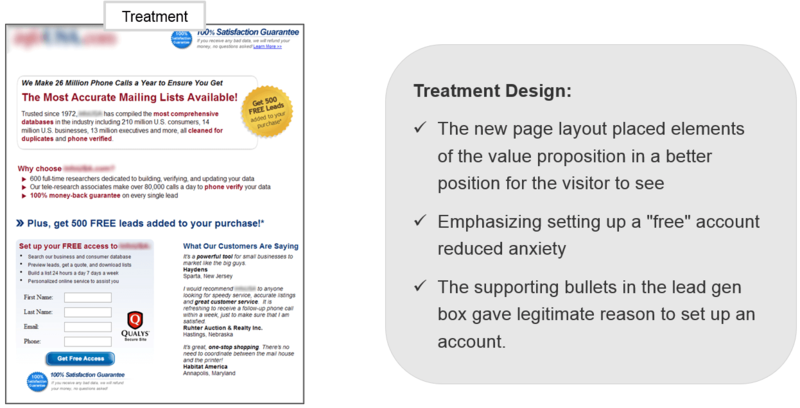 What You Need to Understand: By minimizing hidden difficulty-based friction on the page and clearly communicating the value of the offer, the treatment outperformed the control by 19.67%. 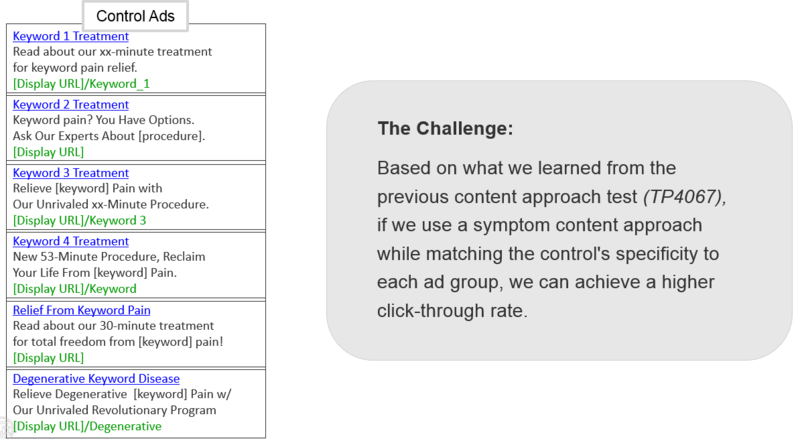 "Symptoms" generated 99.7% more clicks than the "[Specialty] Pain Resources"
What You Need to Understand: The "symptoms" content approach is most appealing to visitors making condition-based searches. 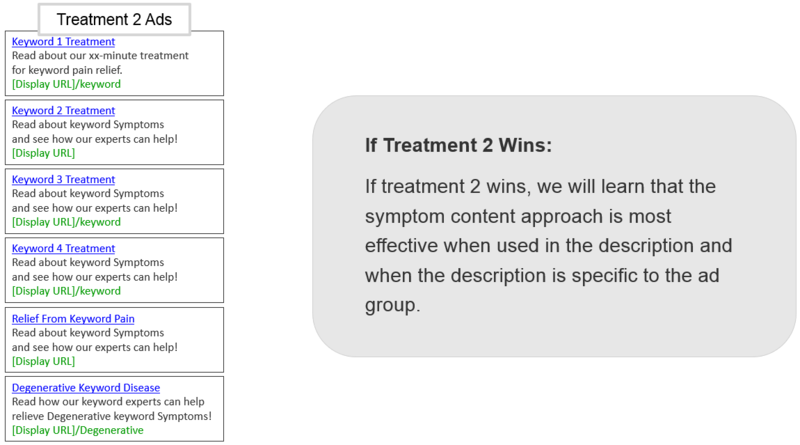 What You Need to Understand: By applying insight from the previous test and inserting "symptoms" into both the headline and description, it created more successful treatments across all ad groups. Research Question: Which voicemail script will generate the most lead responses? Background: Company provides technology and product supply to the oil and gas industry. 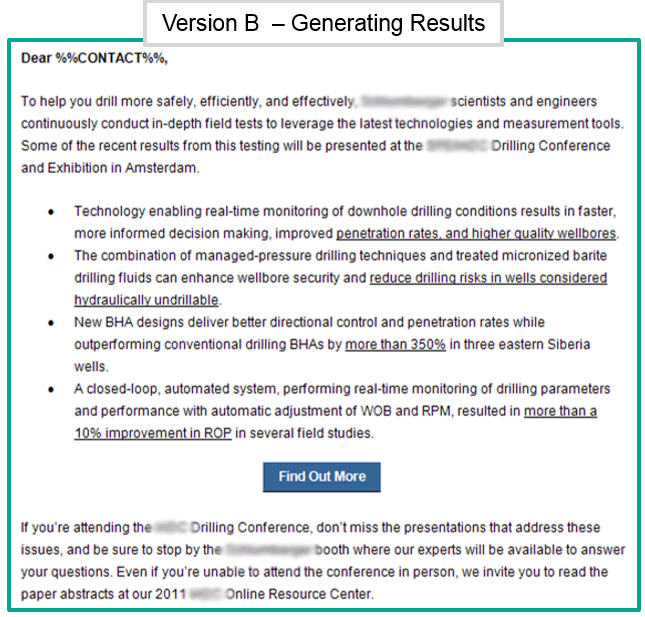 For this experiment, they were making a specific segment (drilling engineers) of their opt-in list aware of an upcoming conference. Primary Research Question: Which value category (overcoming challenges or generating results) will generate the most response? What You Need to Understand: The email message focused on overcoming challenges outperformed the email focused on results, leading us to conclude that for this segment, there is more value in obtaining the solution to problems. The optimized version increased lead rate by 201.40%. 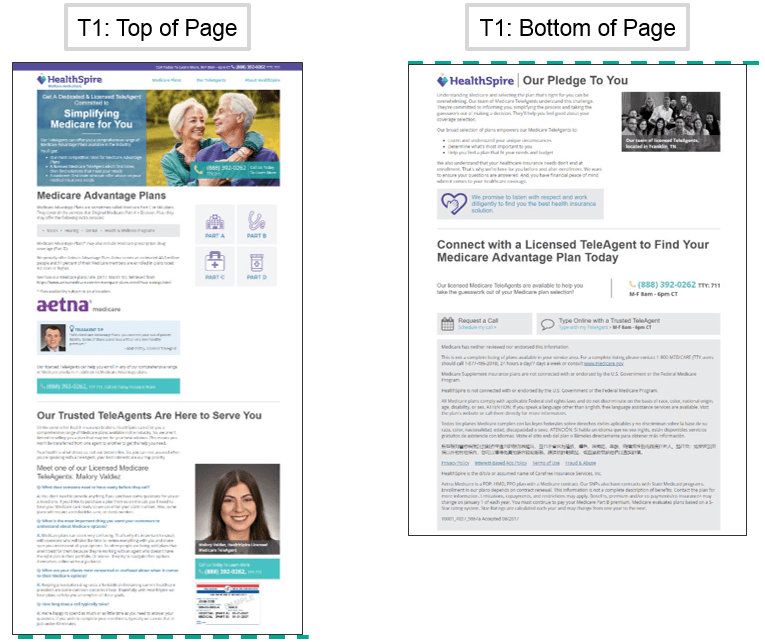 Primary Research Question: Which page will obtain the most form submissions (i.e., leads)? 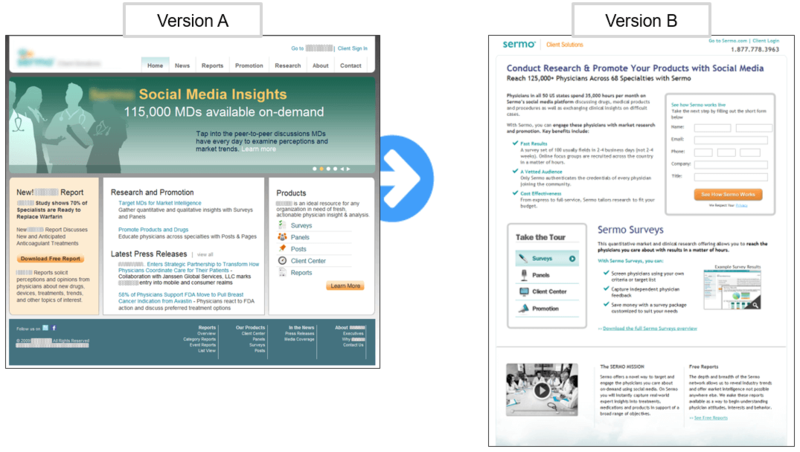 The optimized version increased total leads by 2%. 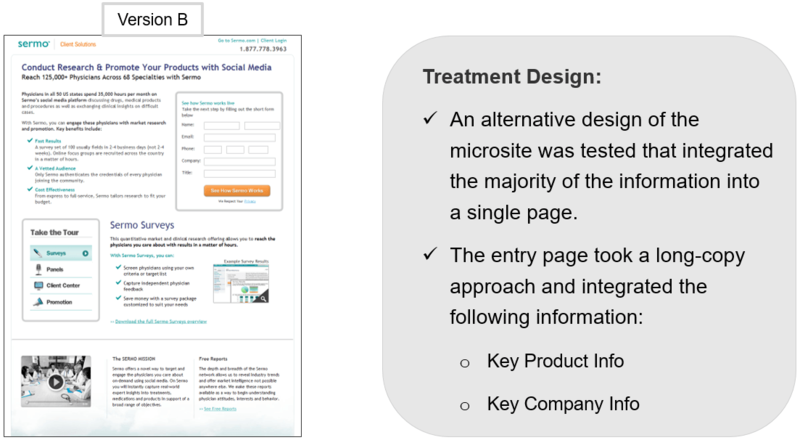 What You Need to Understand: The stylistic treatment design did not impact conversion positively or negatively with any statistical significance, indicating that the learning from the previous test (TP1291) can be transferred across the company’s site-wide templates. 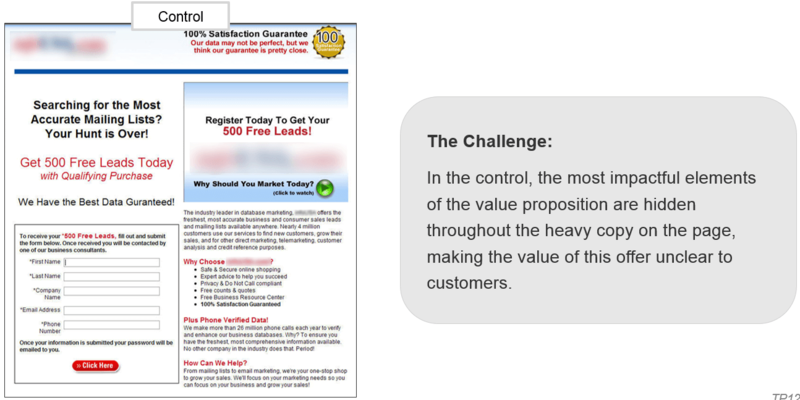 Goal: Increase the total number of leads captured. 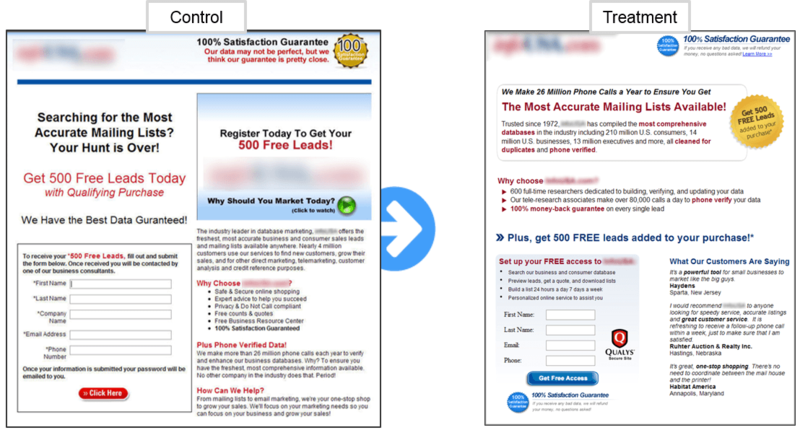 The optimized version increased lead rate by 220.00%. 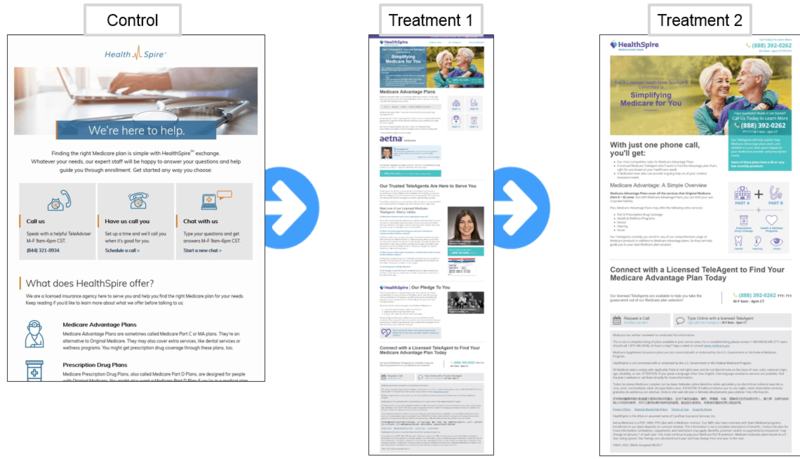 What You Need to Understand: By utilizing a single-column, long-copy approach, the treatment better guided the prospect’s thought process and generated 220% more captures online. 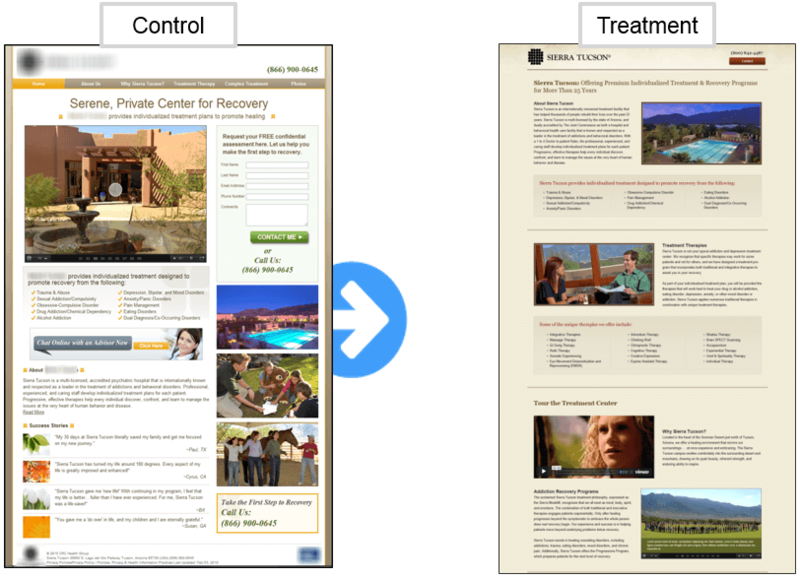 Primary Research Question: Which barrier page will result in a higher lead rate for returning visitors? The optimized version increased lead rate by 197.30%. What You Need to Understand: By giving the rented list more content options, the treatment increased second-visit email captures by 197%. 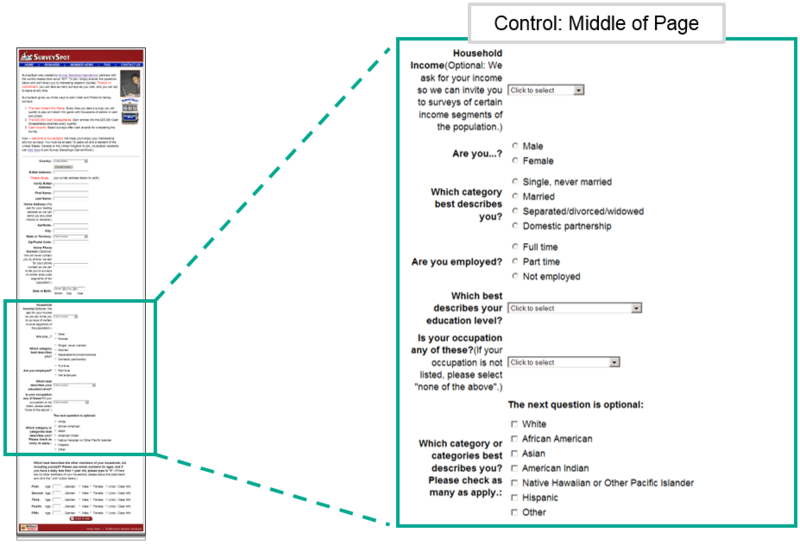 Primary Research Question: Which specific section of content will result in the largest lead rate? 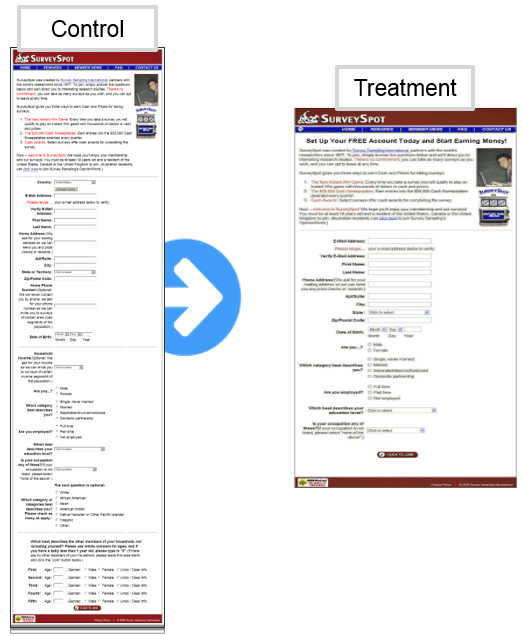 The optimized version increased lead rate by 326.00%. What You Need to Understand: A simple change of substance in a single, important section of content results in a 326% increase in leads. 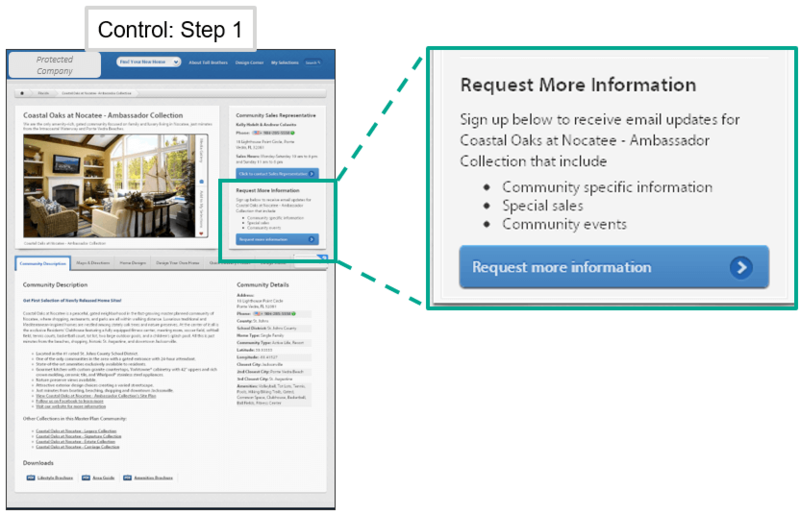 Goal: Increase number of leads from an online form. 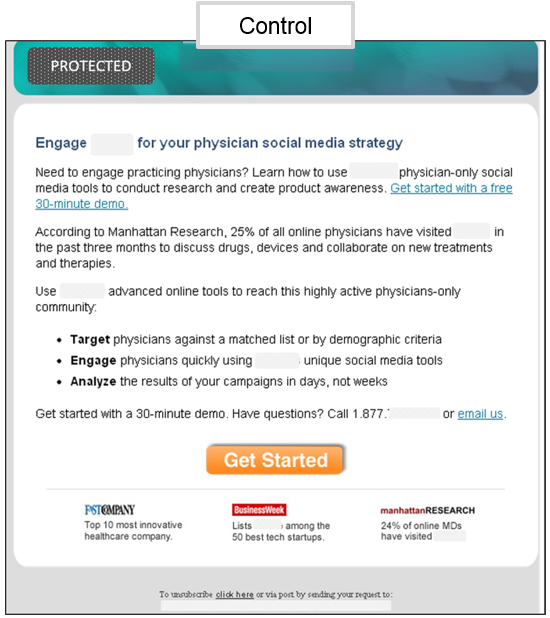 Treatments 2 and 3 each increased visit-to-lead conversion by 29%. 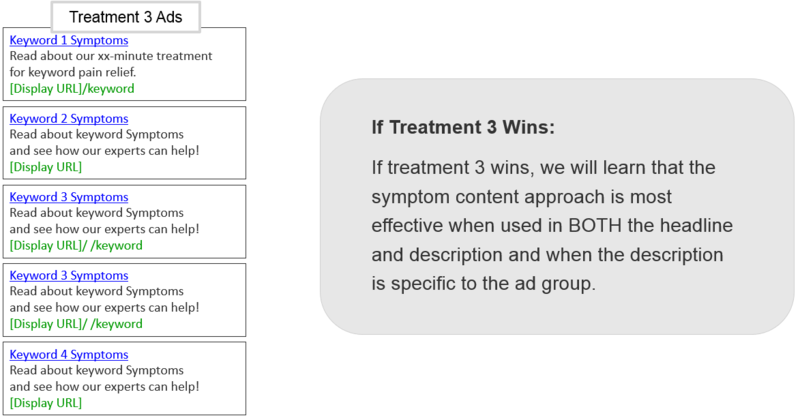 What You Need to Understand: By testing to determine which messaging focus produces the best performance, we learned that the incentive-focused approach produces 29% more leads than the control. 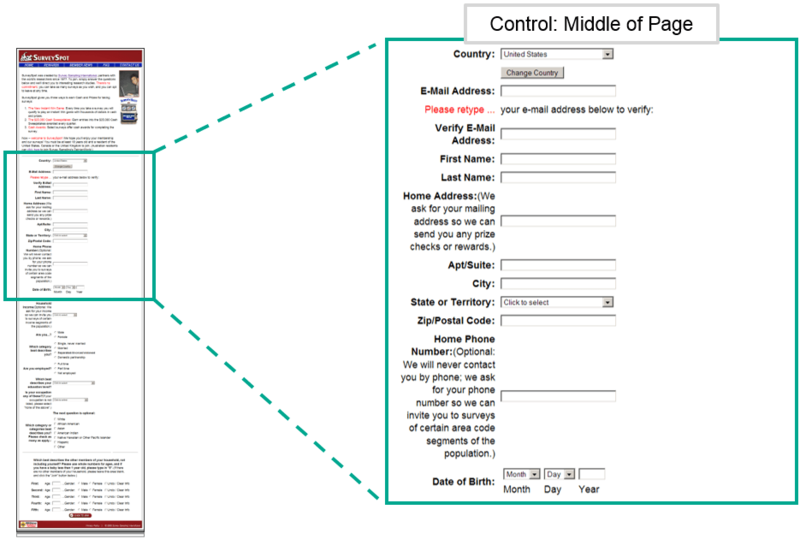 Primary Research Question: Which email design will generate the most opens, clicks? The optimized version increased lead rate by 104.00%. 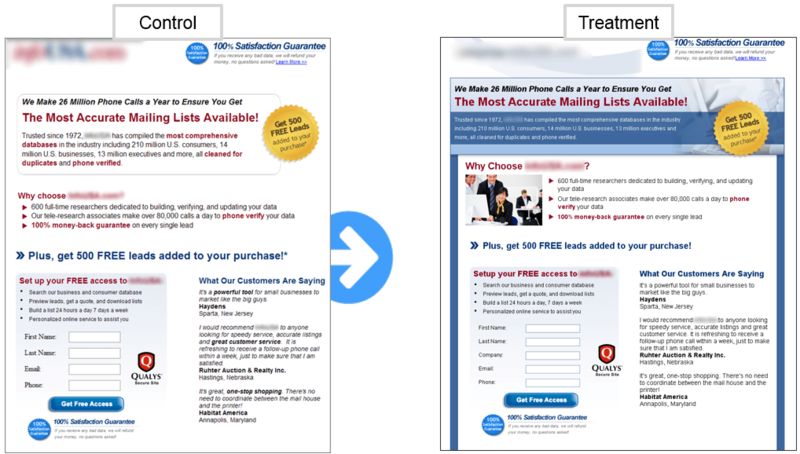 What You Need to Understand: By changing the email messaging to guide and engage the reader through a logical series of micro-conversions, the treatment generated a 104% lift in clickthrough rate. 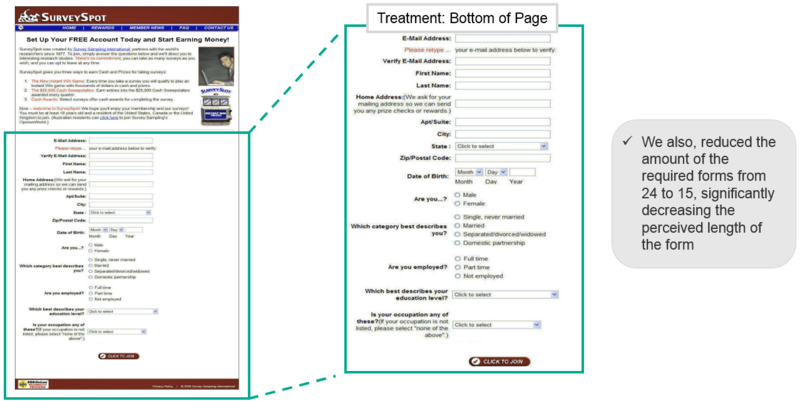 Primary Research Question: Which form page will generate the most leads? 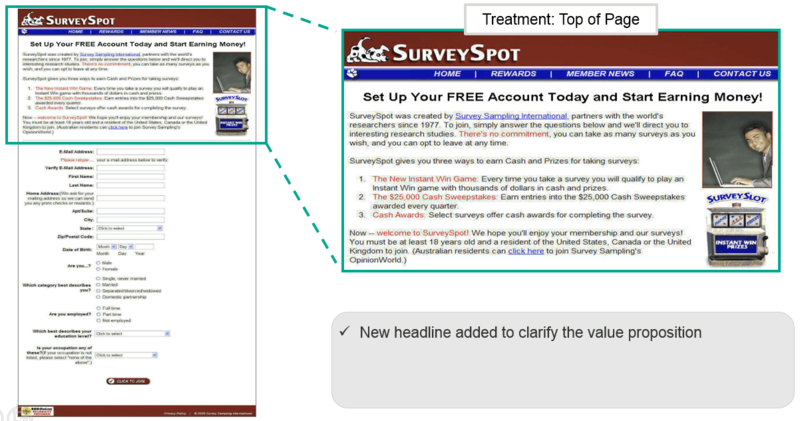 The optimized version increased lead rate by 275.00%. 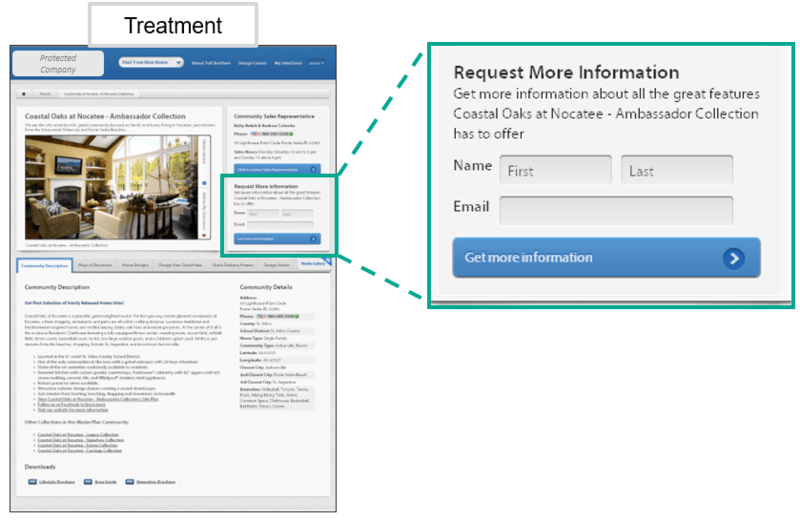 What You Need to Understand: By simply making one of the form fields optional, the treatment was able to increase conversion by 275.00%. 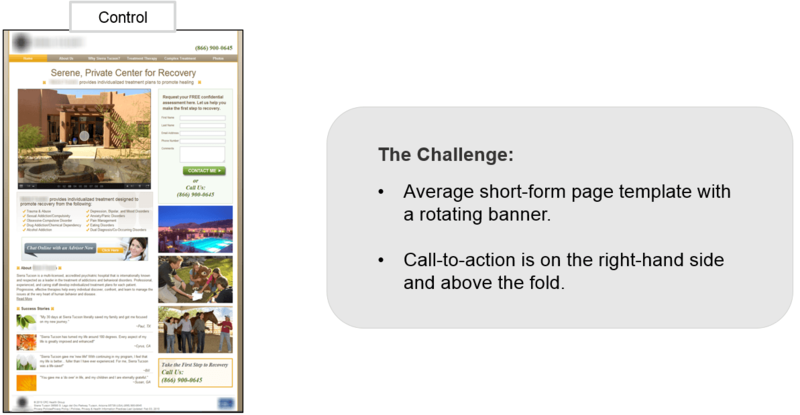 Primary Research Question: Which microsite content approach will result in the largest lead rate? What You Need to Understand: By changing the amount and sequence of microsite content, the treatment generated an increase in leads without negatively affecting SEO. 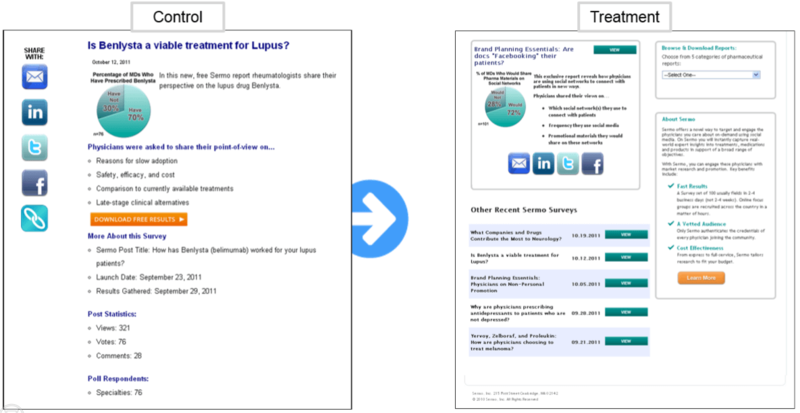 Primary Research Question: Which landing page will generate the most leads? 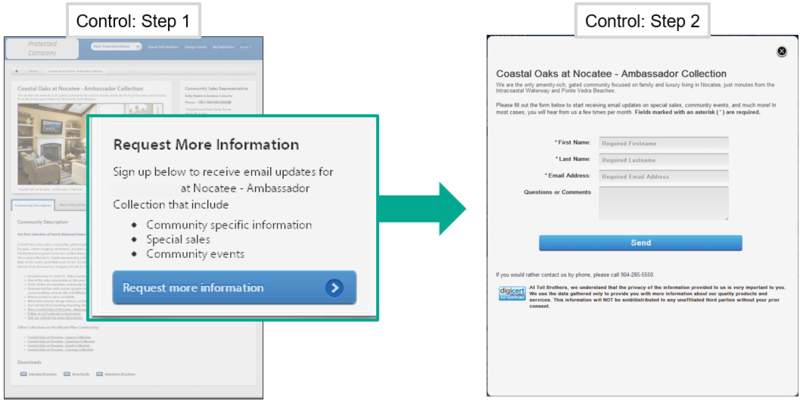 The optimized version increased lead rate by 95.80%. What You Need to Understand: By clearly communicating the value of the guide and reducing friction and anxiety within the form, the treatment increased the lead rate by 95.80%. 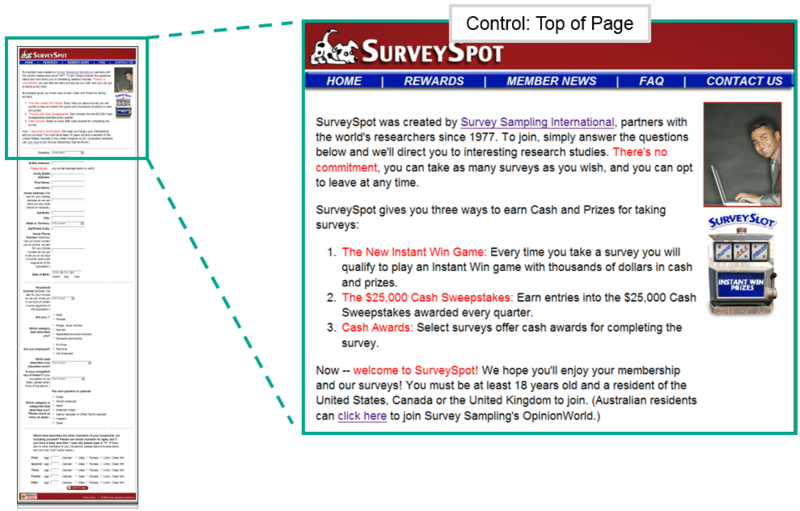 Primary Research Question: Which site will generate the highest lead conversion rate? The optimized version increased lead rate by 331.00%. 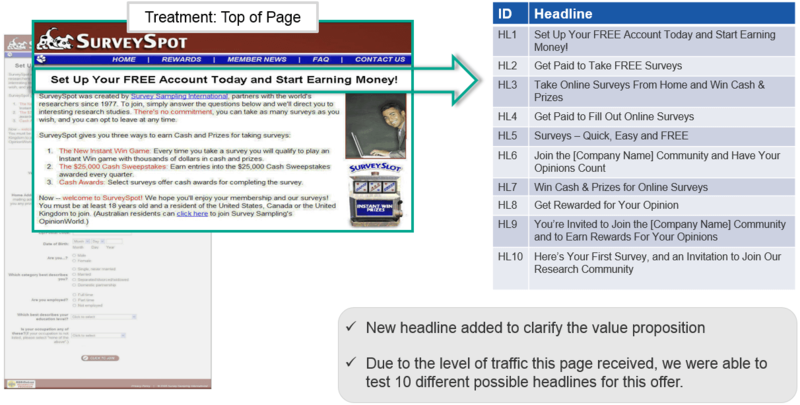 Primary Research Question: Which page and quote process will generate the most leads? 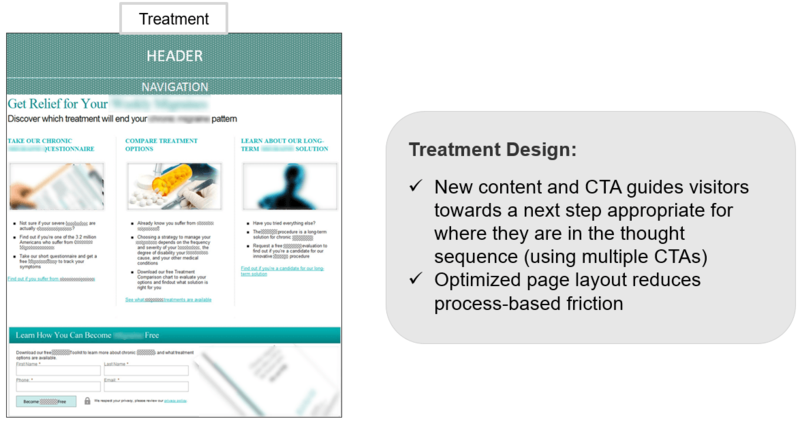 What You Need to Understand: By reducing friction within the form process and clarifying the page objective, the treatment increased the number of leads (those who started the quote process but didn’t finish) by 135%. 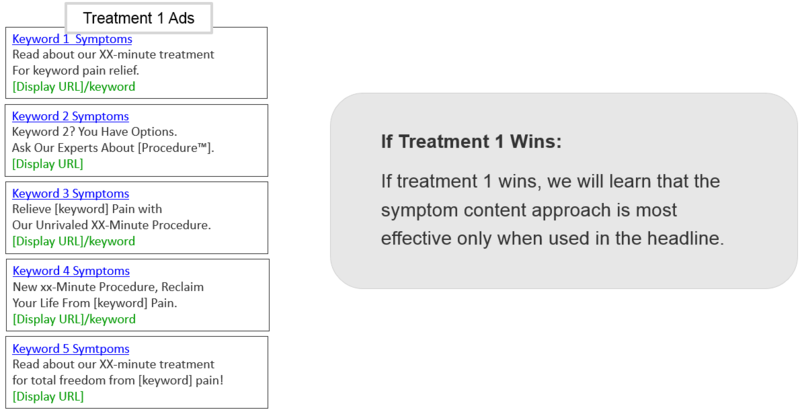 Primary Research Question: Which treatment will generate the highest lead rate? The optimized version increased lead rate by 166.5%. What You Need to Understand: By minimizing friction through reducing the number of steps and fields, the treatment outperformed the control by 166%. 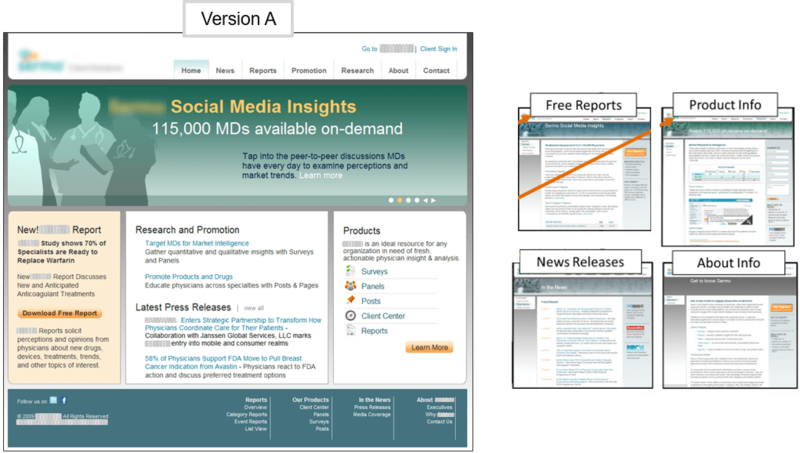 Primary Research Question: Which treatment will generate the most whitepaper downloads? 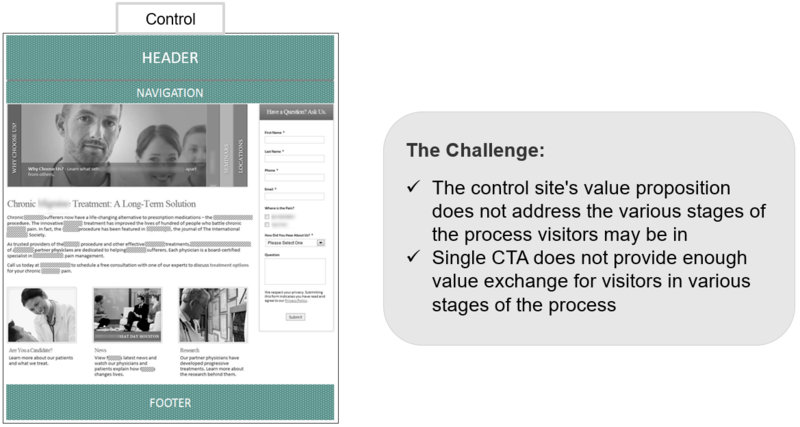 What You Need to Understand: By reducing the amount of friction in the CTA process and adding a simple radio button CTA to the first step, the treatment increased lead rate by 246%. 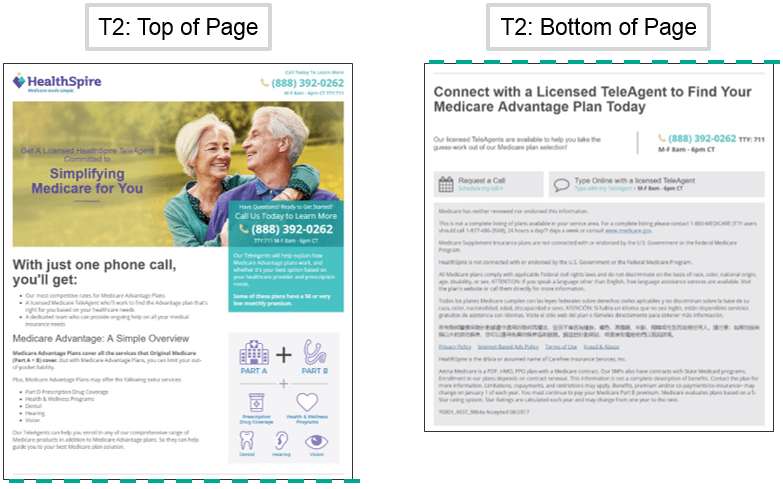 Experiment #21: 638% increase in call center leads for a healthcare company by Increasing the perceived value on a long-form landing page. Primary Research Question: Will the addition of primary and product-level value coupled with the emphasis of value on a “Trusted Advisor,” drive additional calls? 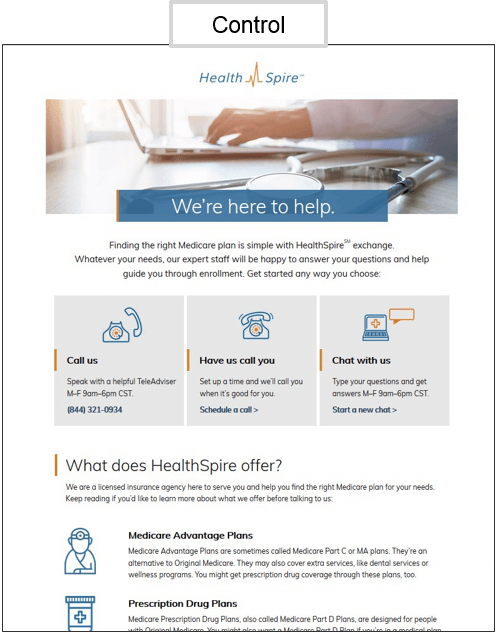 What You Need to Understand: By providing emphasis on the trusted advisor value rather than overwhelming prospects with the various Medicare products and plans options, Treatment 2 generated 638% more leads and requests for calls than the control. 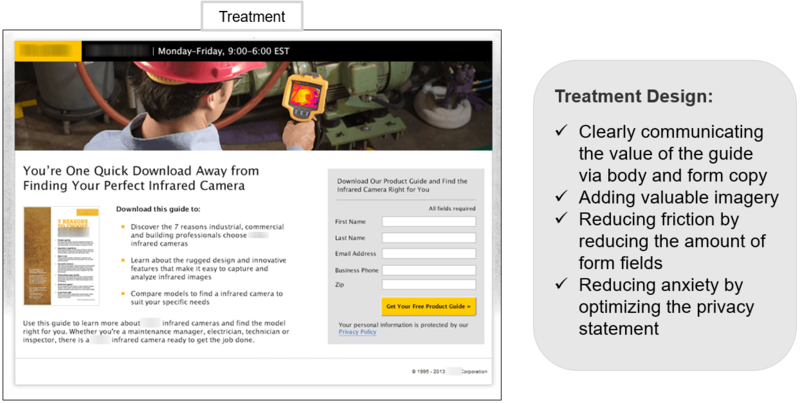 Primary Research Question: Which call script and process approach will convert more leads? 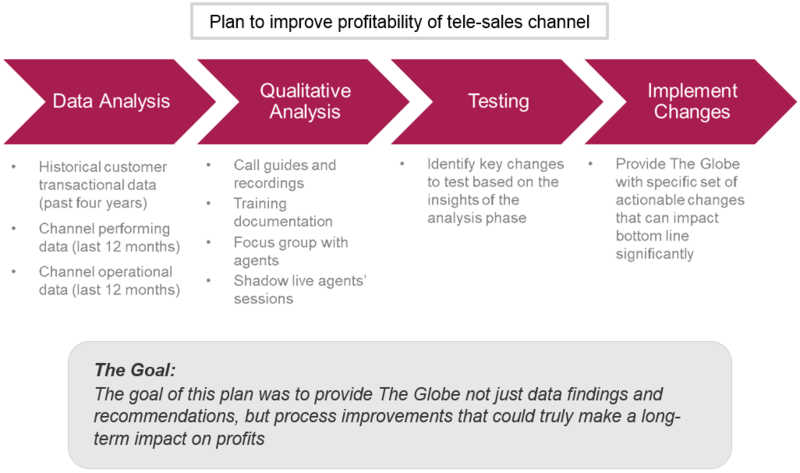 Goal: To investigate the current telemarketing performance, identify opportunities for improvements with each vendor and ultimately, help to increase the channel’s profitability. Vendor A — the vendor with high quantity but low quality of calls — increased SPH by 33% over a four-month period. What You Need to Understand: Even though The Globe cut its calling in half, the focus on the use of a newly-optimized call guide and new product training tactics have had an effect on sales per hour.